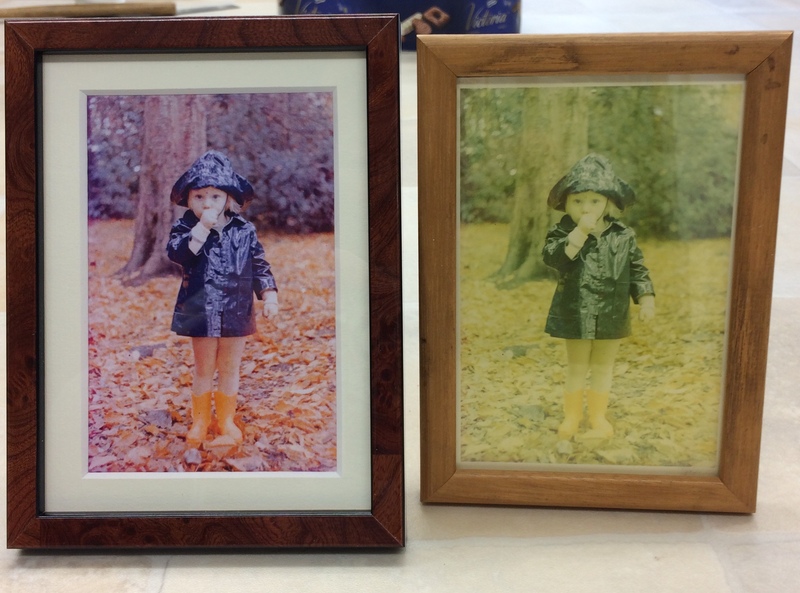 I was recently instructed to help a customer reframe some sentimental photographs. Unfortunately they had suffered over time and had bleached out. 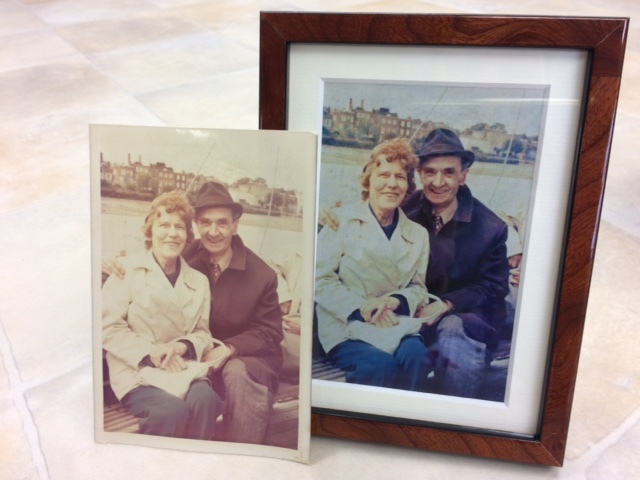 A local design and printing firm were able to greatly enhance the photos which were then reframed in a more delicate frame with a rather heavy frame being replaced with an acrylic block display (two acrylic blocks that are held together with magnets). 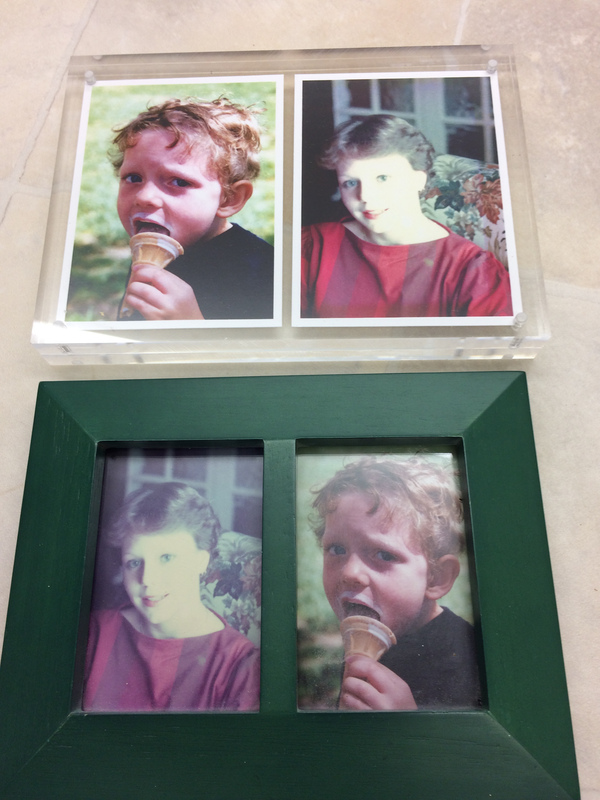 Photos, again enhanced, and now displayed in an acrylic block rather than the heavy green picture frame.